Anna Meadows American tulipwood uplifts and updates the performance hall at this Northern Beaches Colleges Senior Campus in Freshwater. 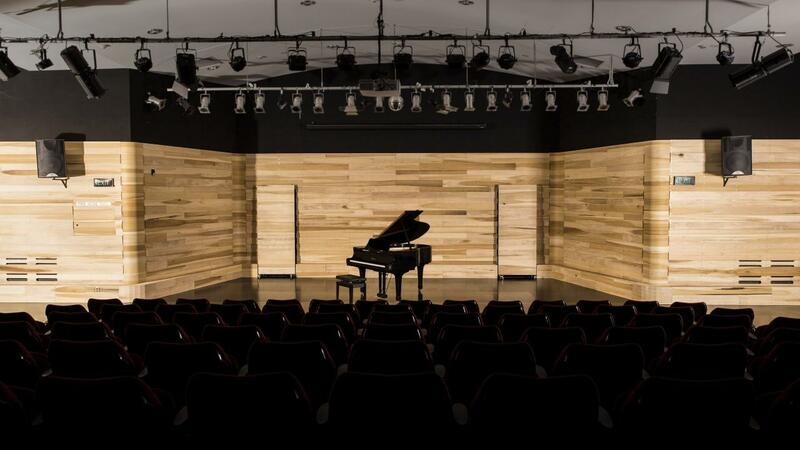 On seeing the horizontally positioned boards of solid American tulipwood, staggered in width, flowing around the stage in the Performance Theatre at Freshwater Senior Campus, you might correctly assume that this was not the creation of a standard acoustic paneling company. The design was conceived and created by young furniture designer Ben Percy from 3 cubic metres of American tulipwood.